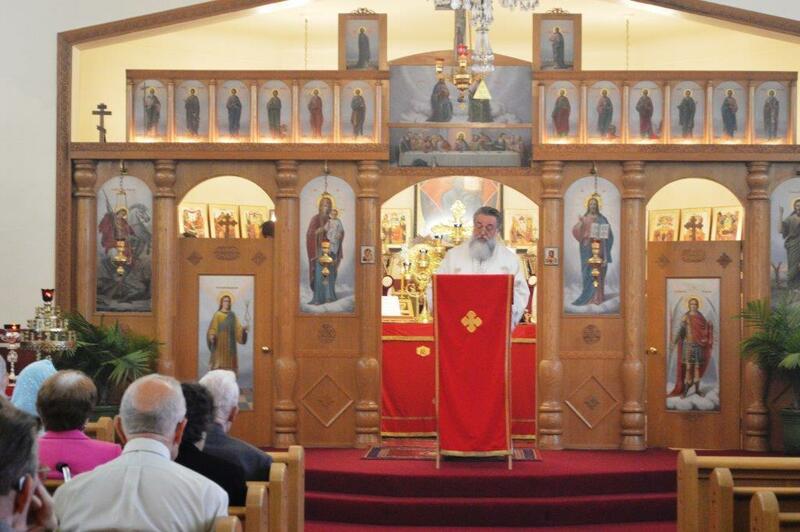 Monroe, MI - "The harvest is plentiful, but the workers are few. 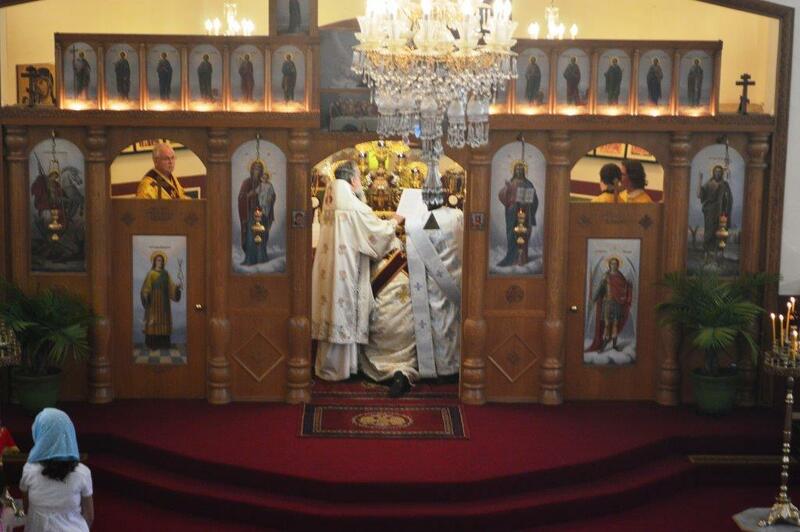 Ask the Lord of the harvest, therefore, to send out workers into his harvest field” Luke 10:2. 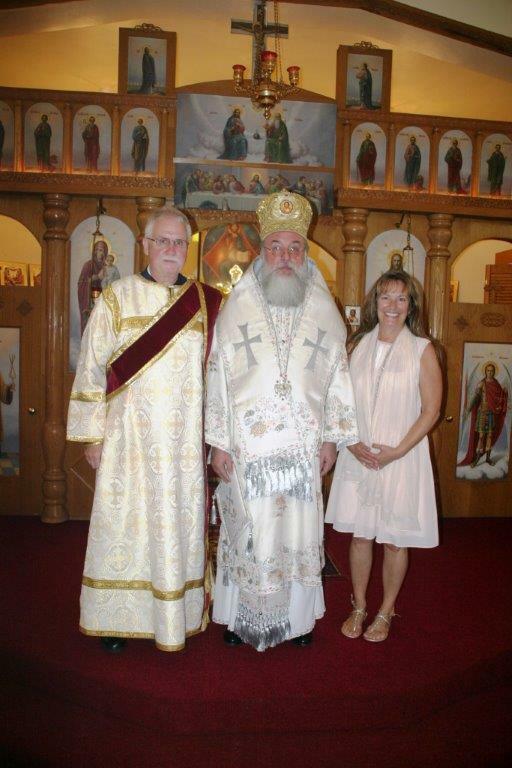 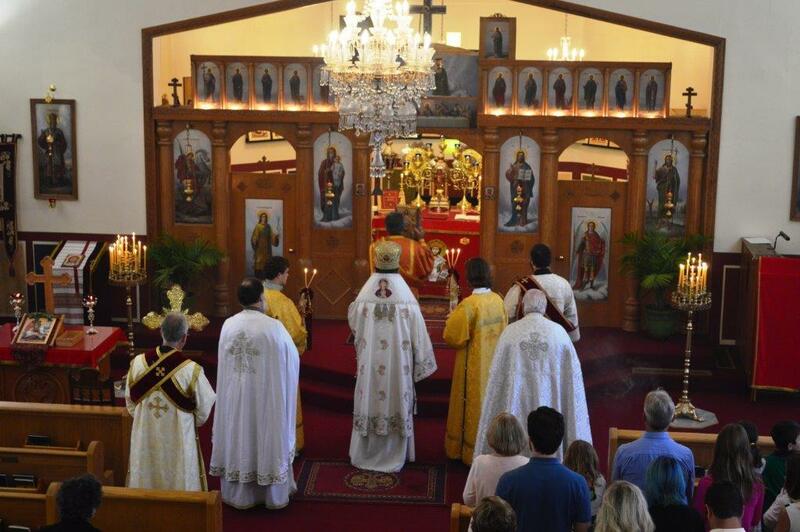 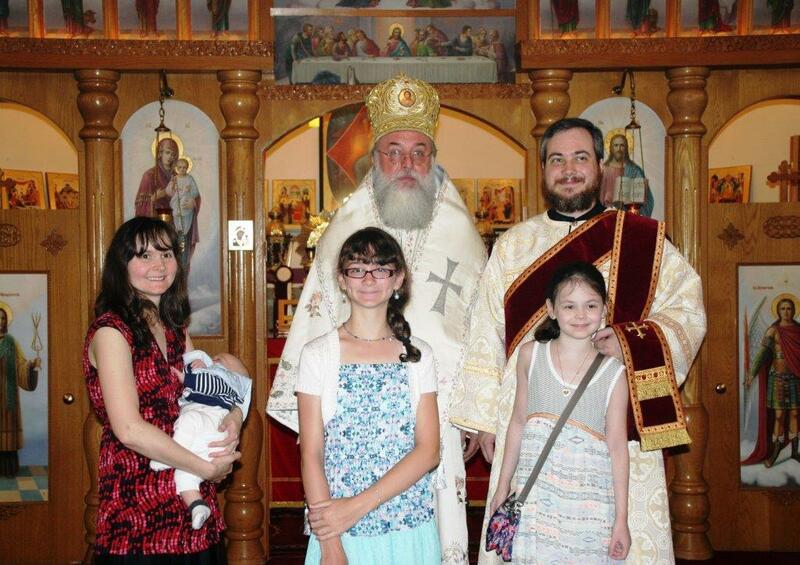 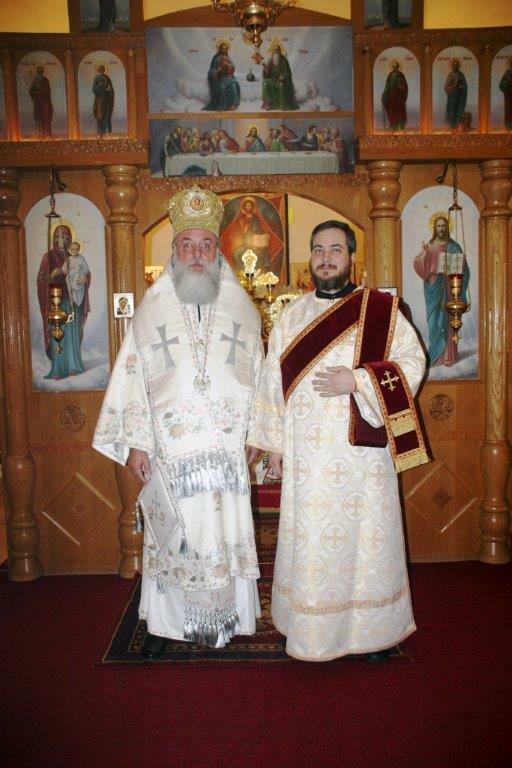 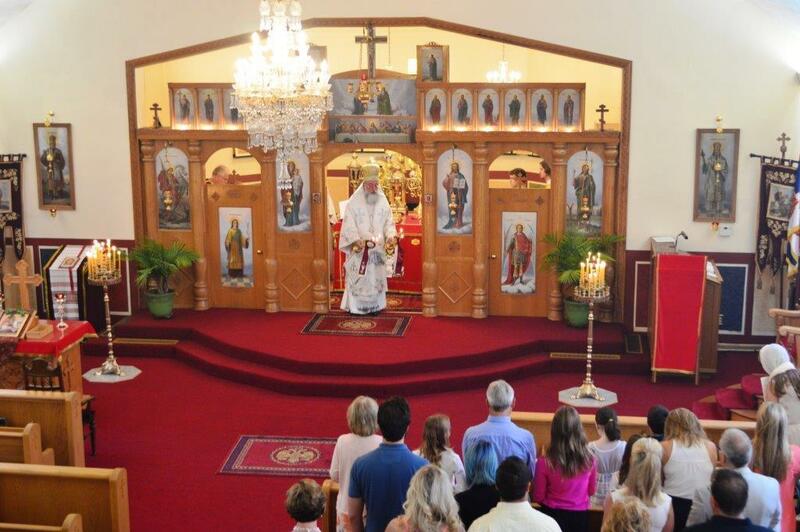 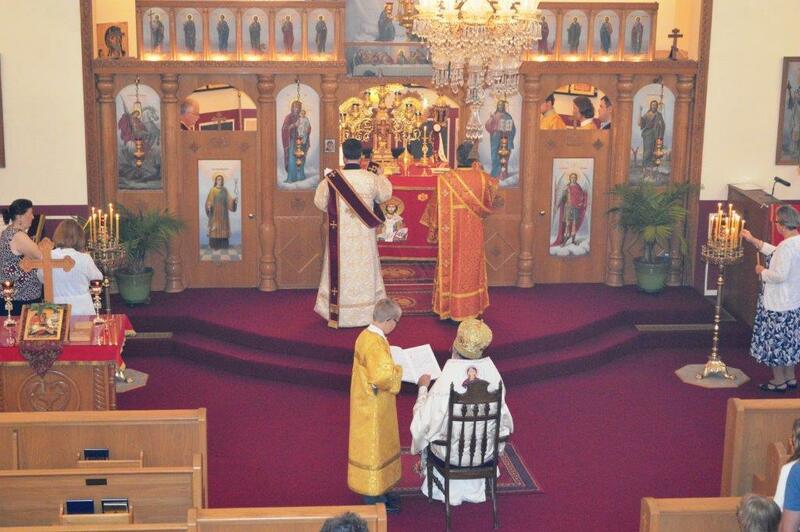 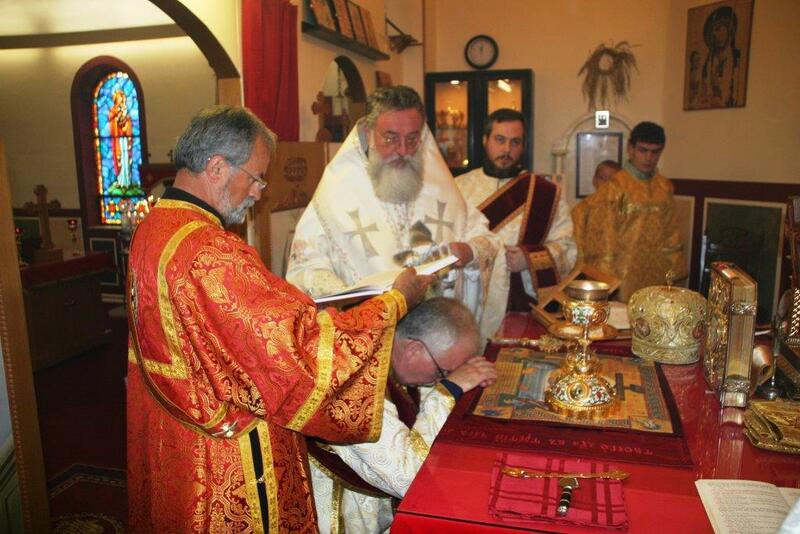 On the recent weekend of August 8th and 9th, the parish of St. George in Monroe, celebrated a double blessing, that being the ordination by His Grace Bishop LONGIN of two new deacons to the Holy Orthodox Church. 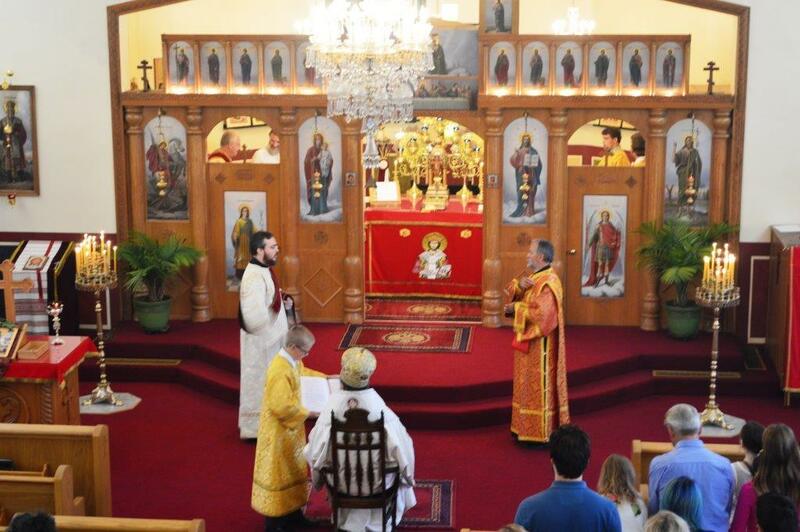 Making this event even more special is the fact that both candidates to the deaconate are converts to the Orthodox Faith. 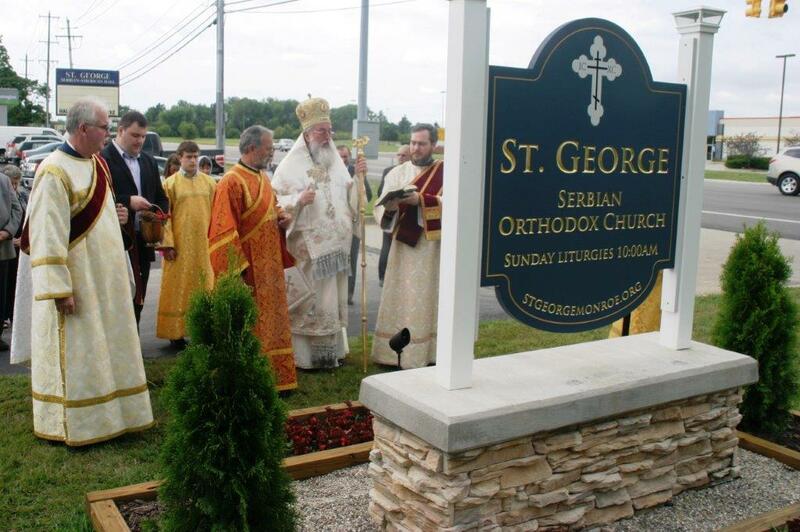 His Grace on Sunday also blessed a further signpost of our outreach into the local community, that being our new sign which was donated by longtime parishioners Milenko and Mica Radojevich. 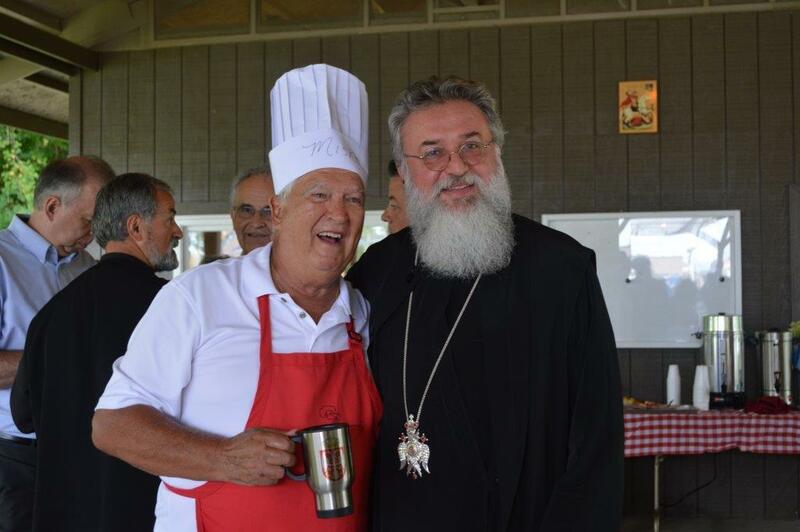 The parishioners hosted a picnic on Saturday and a luncheon Sunday for the many who were in attendance during this weekend. 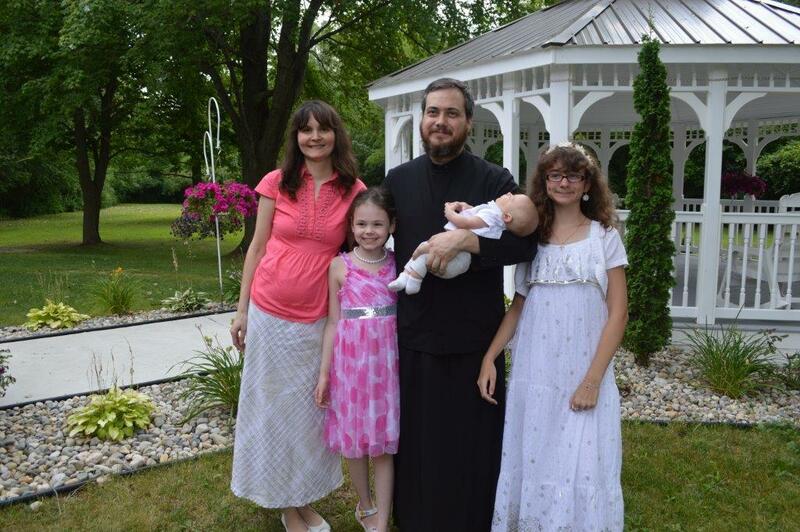 Truly we see that the Lord has blessed us with a great harvest and has provided us with additional workers to realize our mission. 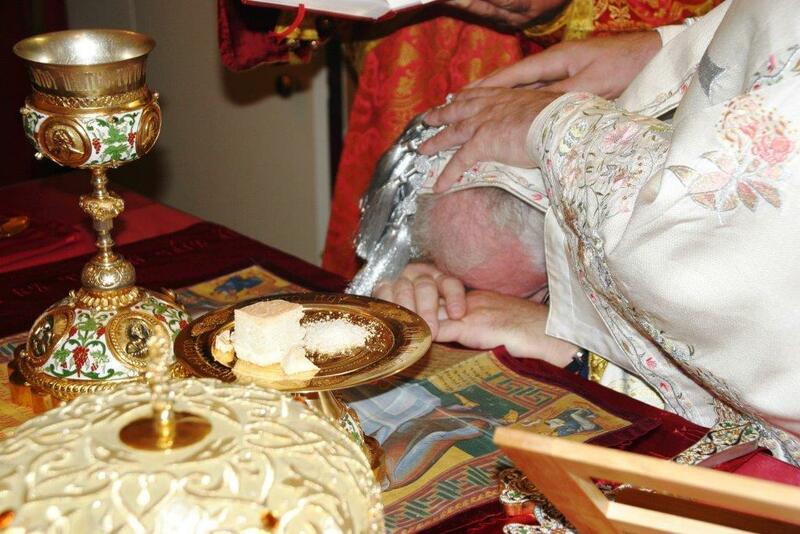 Serving along with His Grace that weekend were Fr. 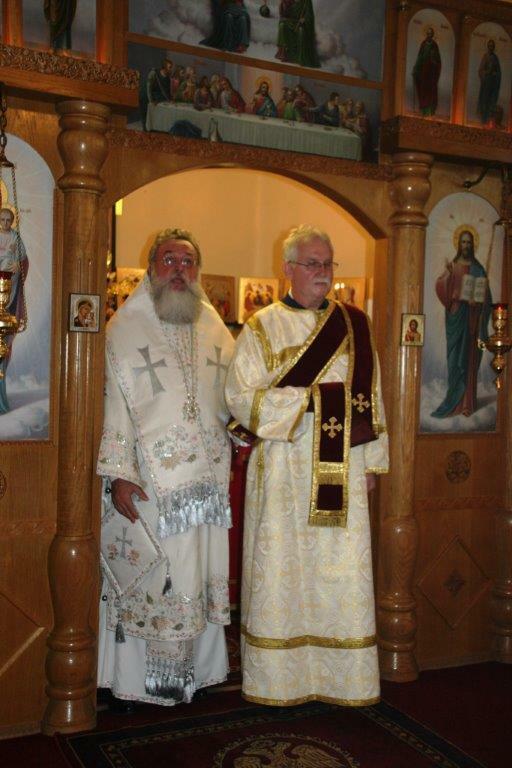 Miosav Ghinghilovic, retired parish priest of St. George, Fr. 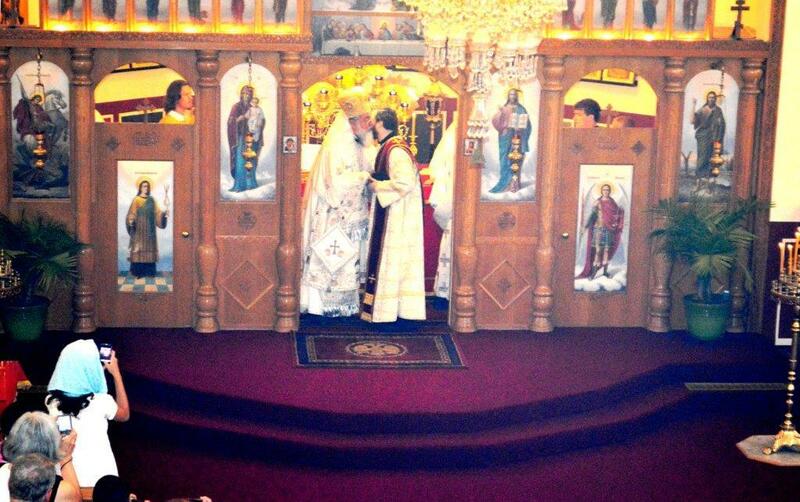 Zivko Kajevic from Sveta Petka in Troy, Fr. 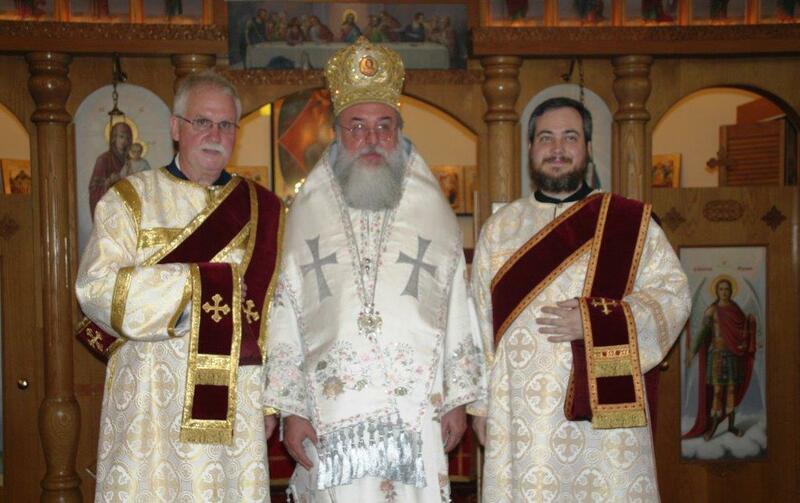 Radomir Obsenica, the parish priest, Protodeacon Milovan Gogic, and Deacon Zachary Martinchek.